The first topic in question is actually a spin off of L’s final hop. I want to know about what you ride in and why? 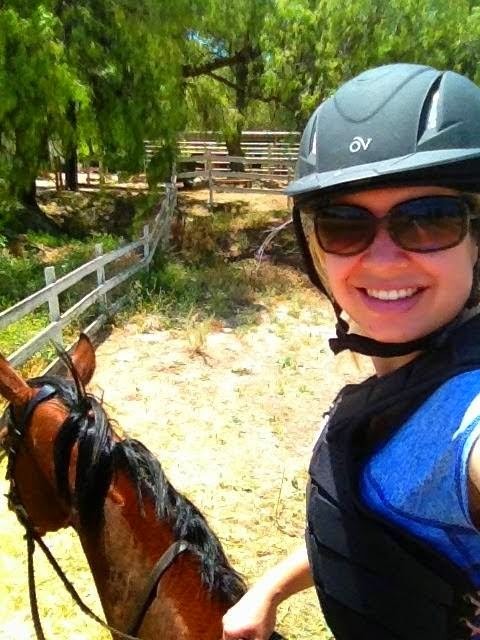 Show us your Equestrian Fashion choices and tell us why you wear them! Typical riding ensemble. The blog is called Eventing in Color for a reason! Given my loud, colorful riding ensembles (especially for cross-country) and my penchant for being cheap frugal miserly cost-conscious, it may not surprise you that I’m not nearly as fashionable as most of the other participants in this hop. But what I lack in quality, I make up for in quantity. 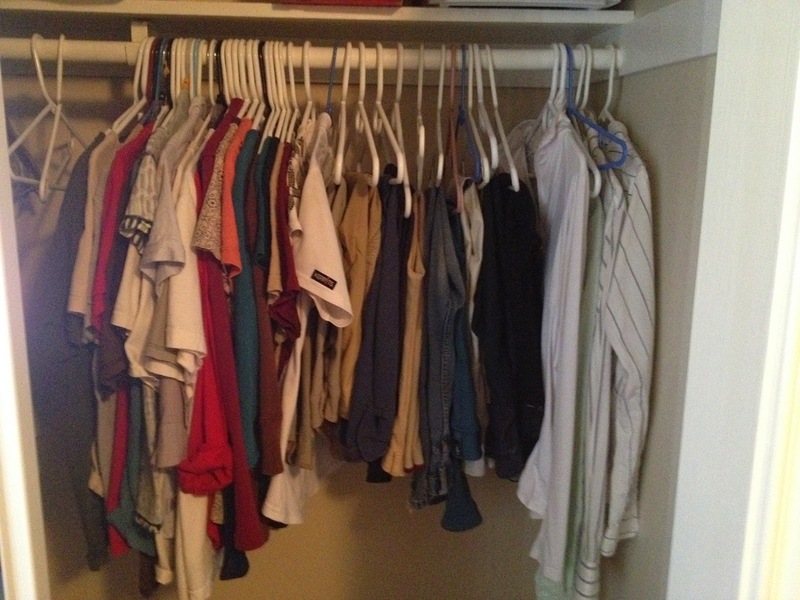 I literally have an entire closet dedicated to barn clothes. Tops – My riding tops can be divided into 3 categories: t-shirts, former work tops (no longer suitable for the office), and sport/workout tops. I have lots of t-shirts from volunteering. 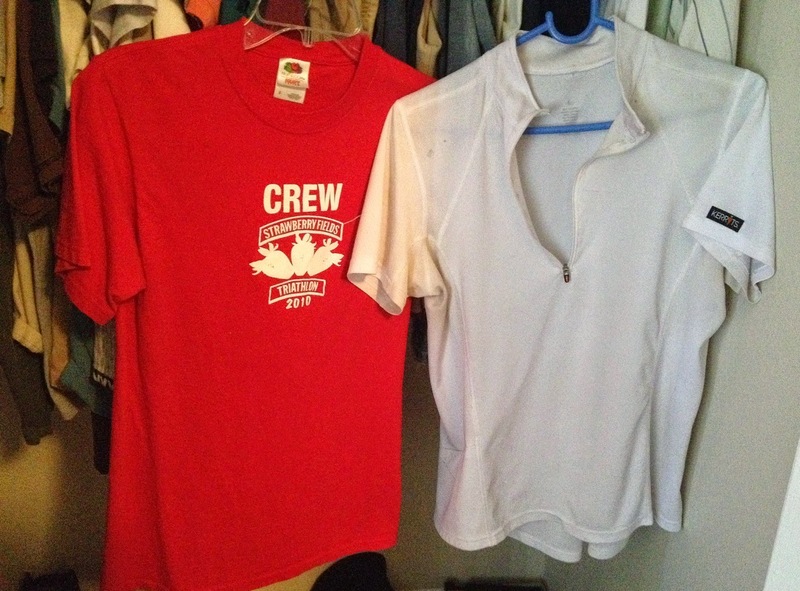 And this Kerrits ice-fil used to be a show shirt, but got downgraded to day-to-day barn shirt due to some stains. 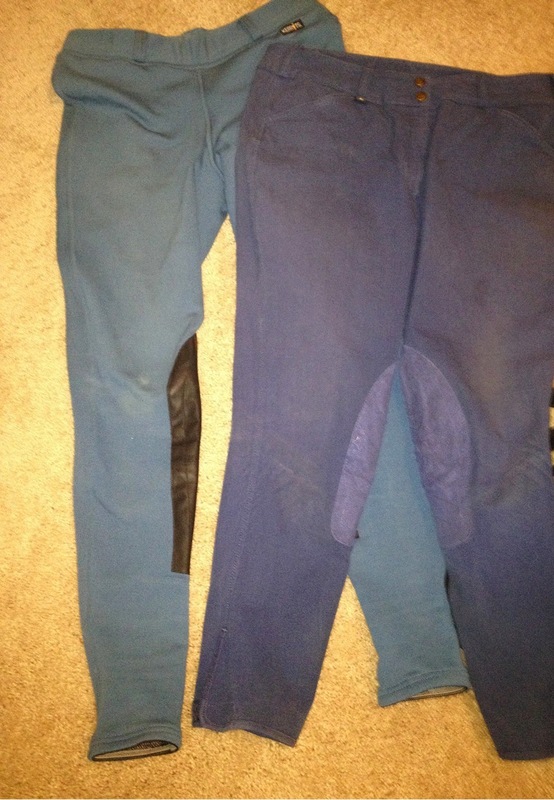 Breeches – When a good friend got out of horse riding, she graciously gave me a whole bag of riding tights. No, we’re not the same size (she’s taller and a little fuller-bodied than me), but why would I let that stop me? I do have a few pairs of breeches that I bought for myself (on sale of course). Some days I go to the barn directly from working out, so I’ll just ride in my workout capris since I’m too lazy (and sweaty) to change into breeches. I also ride in regular jeans on occasion. Kerrits pull-ons and On Course breeches. Belt – I have a few belts. They are all quite plain. 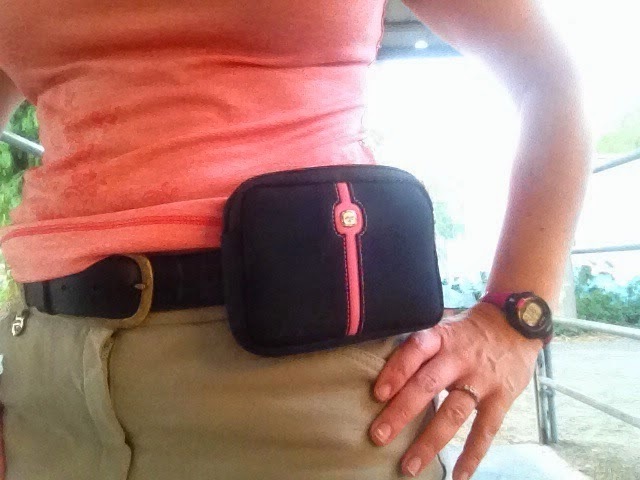 I need them since lots of my breeches don’t fit perfectly, and they also hold on my cell-phone holder. 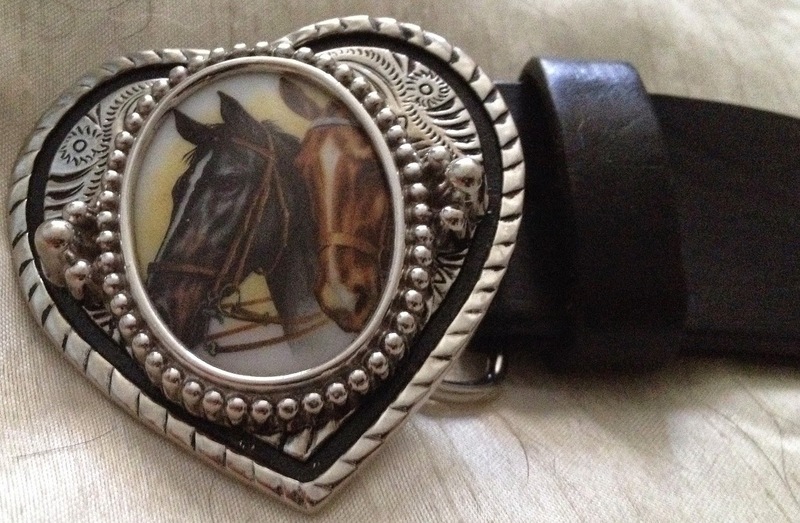 I have one family heirloom belt buckle that my great-great-uncle made at a factory in New York City. Boots & Socks – For the last several months I’ve been riding in my tall boots (Ariat Heritage field boots), but am getting my half-chaps repaired so I might go back to paddock boots. 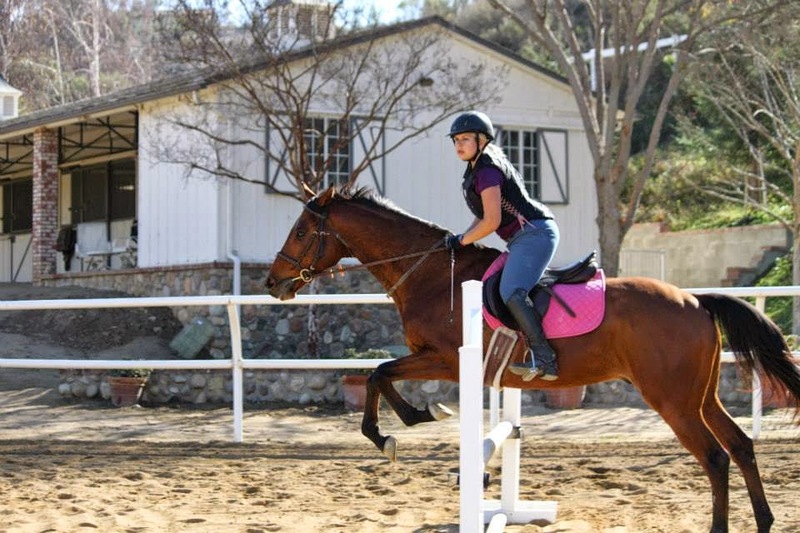 Blogger confession: I do not own any equestrian socks. I ride in tall socks from Target. And I like them UNDER my breeches. 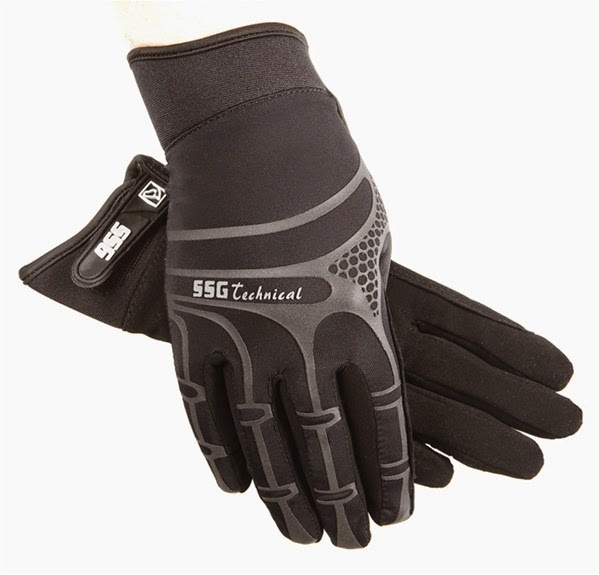 Gloves – My go-to everyday gloves are SSG Technical Riding Gloves. These durable, breathable gloves are still easy to get on and off even when your hands are sweaty, and they hold up great to regular washings. Helmet – I only have one: the Ovation deluxe schooler. Affordable, comfortable, certified. Growing up, anytime I’d spill something on a shirt causing a stain, my mom would say “well, now that’s a barn shirt” and its only fairly recently that I’ve grown out of that mentality and started to care about looking presentable while at the barn. But presentable is not the same thing as fashionable. I still have a ways to go on that front. Target has some good socks! L is also a regular sock lover. I can only wear real socks in the winter. I love me some kerrits! Target has the BEST socks and they are so cheap! I'm going to have to check out the Target sock collection!